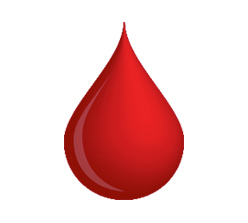 The safety of our donors and blood supply is paramount. If you have not already done so, it is important that you check your eiligbilty to donate. We ask that you re-check a couple of days prior to donation as circumstances can change. Appointments for this clinic have been temporarily held until 16/01/3019 00:00:03. Please visit this page again or call our contact centre (0800 25 22 66) after 16/01/3019 00:00:03 to book your appointment. Most donors tick to receive both both SMS and email and we greatly appreciate this. You must tick to receive at least one form of reminder. Why? Privacy Statement describes how we will process your data. We will automatically attempt to match the data you have provided against our existing donor database. The information you have provided will be used to contact you about your appointment in accordance with your reminder preferences given. We appreciate that our donors may lead busy lives and the time you take out of your day to donate. However, missed appointments place a strain on our service and may mean that we collect less blood than planned from a clinic. Opting in to reminders by both SMS and email is the most cost efficient way for us to remind our donors as we approach clinic and doubles our chances of connecting should there be a problem. Both SMS and email reminders now include the functionality to cancel if your circumstances have changed. For donors who do not have regular access to email or SMS, we are happy to attempt to contact you by phone a few days before the appointment. Unfortunately, due to the impact of missed appointments on our ability to supply blood to our hospitals, we must insist that at least one form of reminder is selected when booking an appointment.